They’re baaack! Occupy the Farmers broke into the Gill Tract research land Saturday morning to harvest the crops they had planted during their occupying spree in May. But that’s not all. 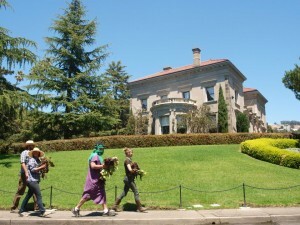 In an effort to show how much food was going to waste, protestors left bolted lettuce in front of the Chancellor’s house.